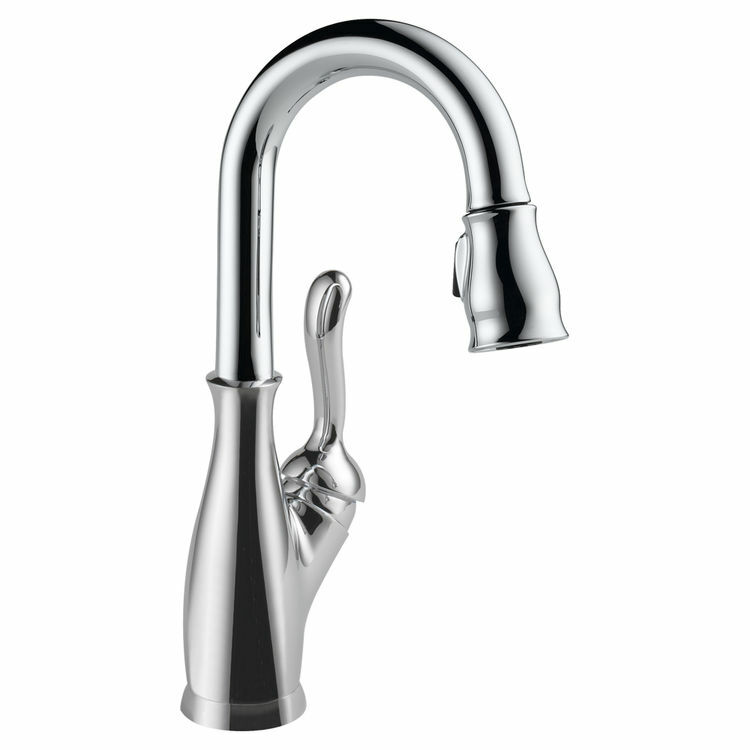 This 9678-DST is a single handle bar/prep faucet that is manufactured by the Delta Company. Delta is a company that has been in business for over 50 years. Delta has made it their primary goal and focus to bring their customers the highest quality plumbing products. This is why they are one of the world’s leaders is kitchen and bathroom products. In line with these standards is the 9678-DST bar faucet. It features a state of the art horn design with a wide circular base which flows into its narrow pipe spout. This faucet is designed to be easier on your wallet and the environment. It does this by meeting EPA’s standard of having a low flow rate of 1.8 gallons per minute (GPM). This faucet comes complete with an ADA compliant side mounted lever control handle, making this faucet user-friendly and easy to operate. This 9678-DST Delta Chrome bar faucet is easy to install with its single hole deckmount installation design. To make installation even more hassle free this product comes with all the installation hardware your will need. This particular faucet does not come with an escutcheon, if you would prefer that it does then you can go with the RP47274 Model. Shipping Dimensions 24.0" x 13.0" x 3.3"